Since time immemorial, plants have been a rich source for therapeutics. Ayurveda is a living tradition of a healthy science of India, used for millennia. Ayurveda has a vast medicinal treasure-trove of herbs to choose remedies from. The book 'Indian Medicinal Plants: Forgotten Healers' written by Dr. Prakash Paranjpe is a comprehensive treatise on the subject. There was an acute need of a conscious effort to bridge the gap between Ayurvedic philosophy and Allopathic postulates and parameters and develop an integrated, holistic approach to therapeutics. This book fulfills the same. For the first time, here is a detailed explanation of 135 herbs in complete Ayurvedic perspective, aided with their botanical description, phytochemistry, formulations and clinical usage, both topical as well as internal. The author has done a commendable job to compile the useful information of each plant, in addition, with excellent coloured photograph, which facilitates its identification. 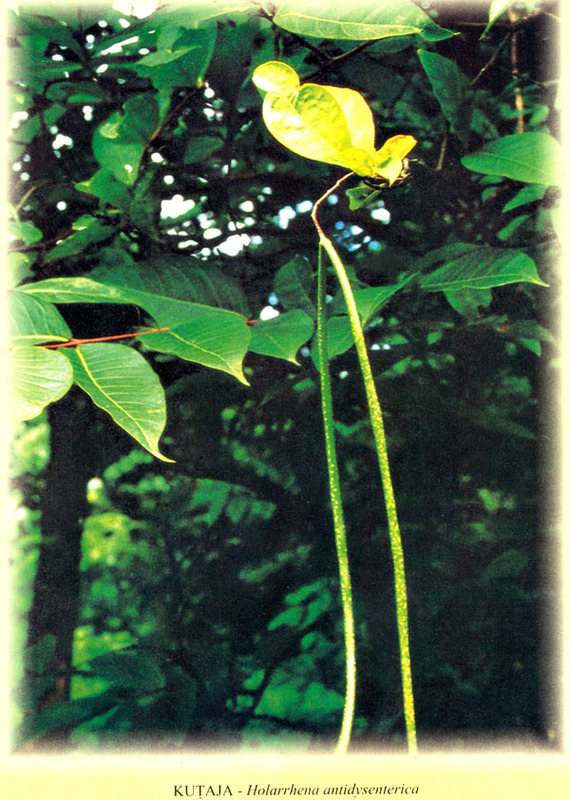 The plants selected in the present book are fairly widely used in India for centuries. There is a worldwide revival of interest in natural products as preventive and therapeutic agents. The present book will help in generating a global interest in Ayurveda and medicinal plants in India. This compilation of most commonly used medicinal plants will be of use to Ayurvedic practitioners, students and researchers as well as to medical and scientific communities like pharmacy, botany, biochemistry, microbiology etc. and also to the common man. Besides the information on individual herbs, the beginning chapters on principles of Ayurvedic Medicine, Ayurvedic Materia Medica and Ayurvedic Pharmacy, make the book more complete. With beautiful photographs of plants, charts, indices, detailed glossaries and bibliography are also included. "Forgotten Healers" is truly an unique addition to the literature of Ayurveda, especially, of Indian Medicinal Plants. Dr. Prakash Paranjpe, graduated in Ayurveda - B.A. M&S, from University of Pune, in 1974 and then secured M.B.B.S. degree from Nagpur University in 1981. Subsequently he did his Ph.D. from Open International University of Complimentary Medicine, Colombo in 1990. He is a practicing Ayurvedic Consultant for more than two decades, specializing in the treatment of acne and obesity. He is actively engaged in clinical research on various Ayurvedic drugs and herbs to combat, especially chronic diseases. He has to his credit many research articles which have been published in various Indian and Foreign scientific journals. He has visited Italy and Germany couple of times to deliver lectures on Ayurveda and Medicinal herbs. He has also pursued the full course in Italian language of Italian Embassy Cultural Centre, at Deccan College, Pune. He has traveled across the length and breadth of India to photograph various medicinal plants in different seasons. Dr. Paranjpe is founder member and director of Ayurveda Research Foundation, Pune, India. He is also director of S.K.A. Ayurveda, Milan, Italy. He is visiting professor of School of Health Sciences, University of Pune and member of the advisory board of "Holistic Healing" published by Indian Express Newspapers, Mumbai. The plant kingdom has always been the favourite source of medication in all healing traditions all over the world. In all culture the humanity always believed that the God while creating the human life, also created the plant kingdom as the source of nutrition and medication and hence the use of herbs and plants as medicament is as old as the origin of man himself. This contention is more strengthened by the eternal flow of traditional use of plants by the people as medicines a well as the codified medicinal uses mentioned in vedic and post-vedic texts. In the modern times with the fast emergence of western modem medicine and synthetic chemotherapeutics, the importance of plants and herbs started declining as more and more attention was paid to the development of synthetic drugs. 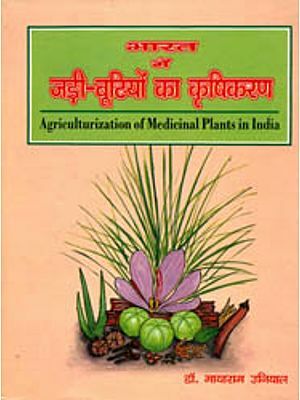 But today the medicinal plants are no more the forgotten healers as expressed by the author of this book because last few decades have shown a notable resurgence of interest in medicinal plants once again, the reason is the increasing awareness about the limitations of the synthetic chemotherapeutic agents and serious side effects on the face of a high safety margin of herbal drug. Now herbal medicine and natural products are in big demand all over the world. Ayurveda is one of the most developed codified system of traditional medicine in the world. It is based on its own fundamental principles like the doctrine of Loka- Purusa Samya. 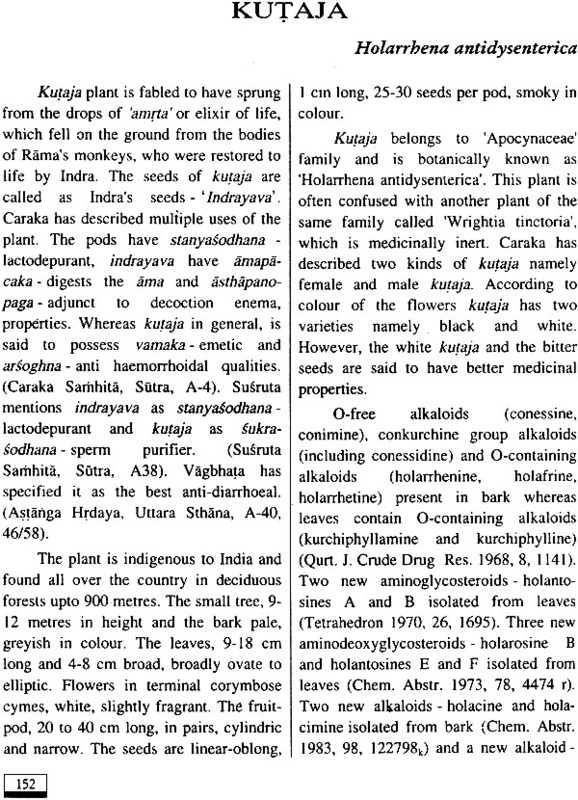 theory of Samanya and Visesa, theory of Pancamahabhuta, Tridosa and Triguna besides the very unique approach to the pharmacodynamics of Ayurvedic drugs in terms of Rasa, Guna, Virya, Vipaka and Prabhava. The Rasa-Gune- Virya- Vipaka of the drugs are determined by the relative preponderance of different Pancamahabutas in the constitution of the respective drugs. It seems that drugs which act through their Rasa, Guna and Vipaka essentially act at the nutrition dynamics in the body. They are in fact some sort of micro-molecular nutrients and they produce their effect through bio-therapeutic or nutraceutical mode. The Virya of a drug represents its potency. Ayurveda presents an interesting concept of 'Prabhava', meaning that certain drugs produce specific effects irrespective of the Pancabhautika composition and Rasa-Gune- Vipaka.. The Acaryas describe such an action as acintya virya. As a matter of fact the prabhava effects of a drug is the specific pharmacological action of drug attributable of its active chemical principle, where as the Rase-Guna- Vipaka oriented effect is a holistic bioeffect of a nutraceutical nature. Further it may not be out of place to state that although the herbal drugs are already in vogue as therapeutic agents for thousands of years in codified or uncodified practices but in present times there is a need to re-valuate their therapeutic efficacy and also to examine their acute and chronic toxicity. This kind of safety, efficacy certification along with standardisation and quality control is the need of the day. Such studies need not follow the rigor of the study of new chemical drugs because the herbal drugs are already a drug and are in use as drugs for thousands of years, hence they need just a re-valuation in a clinical setting adapting 'Reverse Pharmacology' approach. But before all this we need the presently existing information about each plant drug and the present book produced by Dr. Ptakash Paranjpe is a good help in this regard. At this juncture of time a book like the present one, dealing with the Indian Medicinal Plants, their identity, botany, photochemistry, Ayurvedic properties, formulations and clinical usage, is highly welcome. The author Dr. Prakash Paranjpe i a well known scholar and practitioner of Ayurveda and western medicine devoted to the scientific development of ancient Indian medicine. This book is a timely publication on the subject and deals with a series of selected 135 medicinal plants which are in common use. The author Dr. Paranjpe has done a commendable job to compile the useful information of each plant. I believe this book will prove a very useful addition to the contemporary Ayurvedic literature. Besides the information on individual herbs the author has very ably presented in the beginning a write-up on principles of Ayurvedic Medicine, Ayurvedic Materia Medica and Ayurvedic Pharmacy which makes the book more complete. I congratulate the learned author for this useful timely publication and look forward to him for more such additions to the literature of Ayurveda. Since times immemorial, plants have been a rich source for therapeutics. One of the earliest references to the therapeutic properties of plants is in the Rg Veda (3500-1800 BC). Ayurveda, the ancient Indian system of medicine fully recognises and utilises the medicinal properties of plants. A review of the valuable Ayurvedic texts like 'Caraka Samhita' and 'Susruta Samhita' manifests that an incredible 1600 of the 2000 odd Ayurvedic formulations are plant based. The passage of time saw the birth and development of modern medical systems. These new systems coupled with the faster pace of life and the need for rapid cure led to the proliferation of synthetic drugs. However, with synthetic drugs came the problems of side effects, ill effects and complications. Today, the wheel has turned a full circle with the medical and scientific fraternity being involved in the study and development of safe and effective natural drugs which are mainly of plant origin. We now also have herbal remedies for modern diseases like cancer and hypertension. This book is an humble effort to put together the vast variety of medicinal plants and herbs in form and substance. The aim is to bring these "Forgotten Healers" to life!! A conscious effort has also been made-to bridge the gap between Ayurvedic philosophy and Allopathic postulates and parameters and develop an integrated, holistic approach to therapeutics which modern medical practitioners can appreciate. I sincerely hope that this compilation of the most commonly used medicinal plants will be of use, not only to the medical and scientific community. but also to the common man. I would like to express most heartfelt gratitude to Prof. R.H. Singh. a noted scholar of Ayurveda. who has written the foreword for this book. Hello, i want to buy a book from you. Can i pay you with paypal, my creditcard dont want to work. The name of the book is, INDIAN MEDICINAL PLANTS : FORGOTTEN HEALERS. version of 2012. Please, can i get access to the English / science and the botanical names of the plants you use in thereputical healing? If there a writen book about it , let me know .